Last week East Brandywine Fire Company volunteers participated in two very special events. 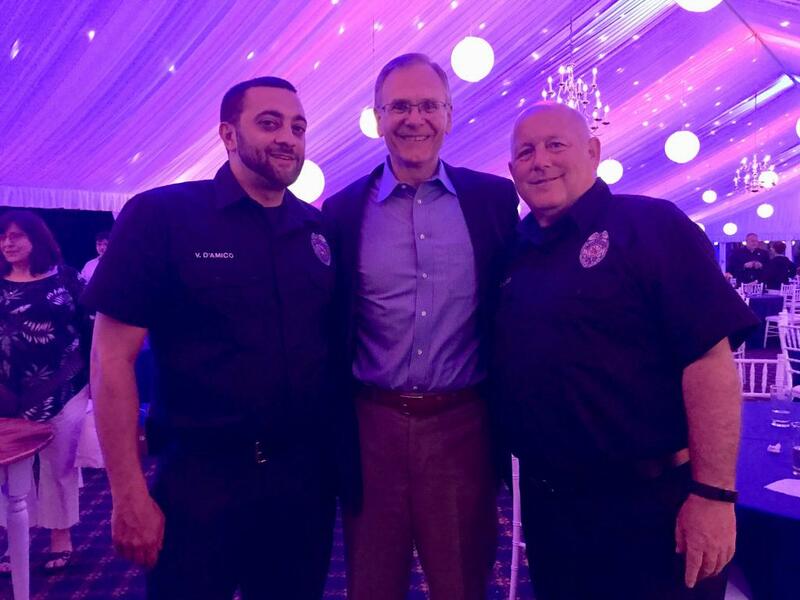 On Wednesday evening May 2nd several of our personnel attended the Chester County First Responders Appreciation Dinner. Dr. Gordon Eck his wife Nancy and family hosted the dinner. 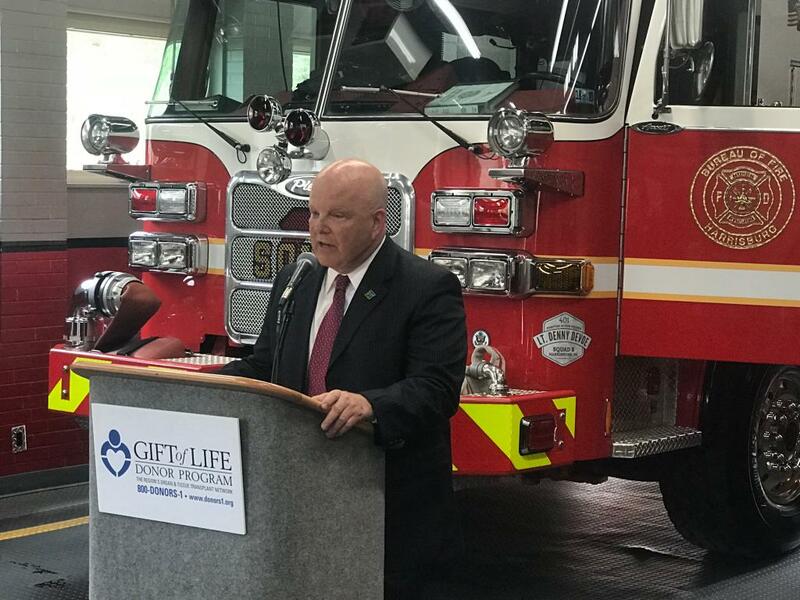 Chester County Officials attended the dinner from Law Enforcement, EMS, Fire Service, CISM Team, Coroners Office and Gift Of Life Donor Program. Dr Eck the former Coroner of Chester County shared his personal insight and praised those in the room for their commitment to helping others. The Officers and Members of East Brandywine would like to thank the Eck’s for their generosity and support. 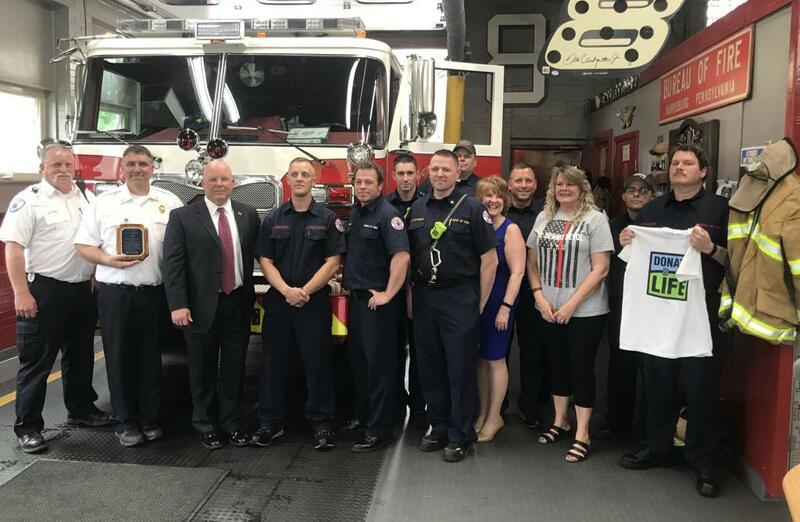 Later in the week on Friday May 4th past Chief John Edwards participated in a special presentation for the Harrisburg Bureau of Fire. 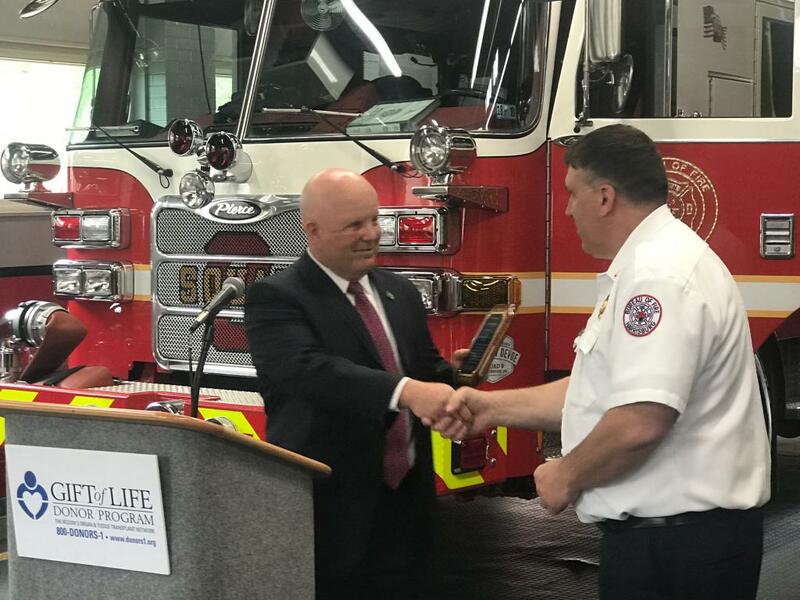 Edwards spoke on behalf of Gift of Life Donor Program and recognized Lt. Dennis DeVoe who killed last year while responding to a tragic fire. Lt. DeVoe was recognized on International Firefighters Day for saving 5 lives through organ and tissue donation. 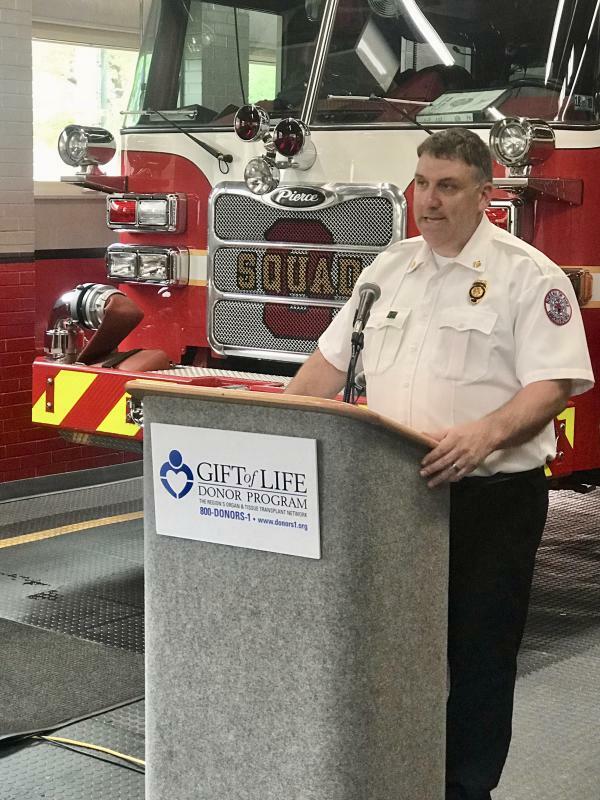 HBF Deputy Chief Michael Souder said, “as his life was coming to an end he was thoughtful enough to donate his organs which was incredible”. Past Chief Edwards said “the HBF leadership and firefighters are remarkable people. They are incredibly talented and have a blend of pride and passion, which is unsurpassed. They also should be commended for remembering Denny;s legacy”. The Officers and Members of East Brandywine would like to salute Lt. DeVoe and his family. The Lieutenant was a remarkable firefighter and even more remarkable person.